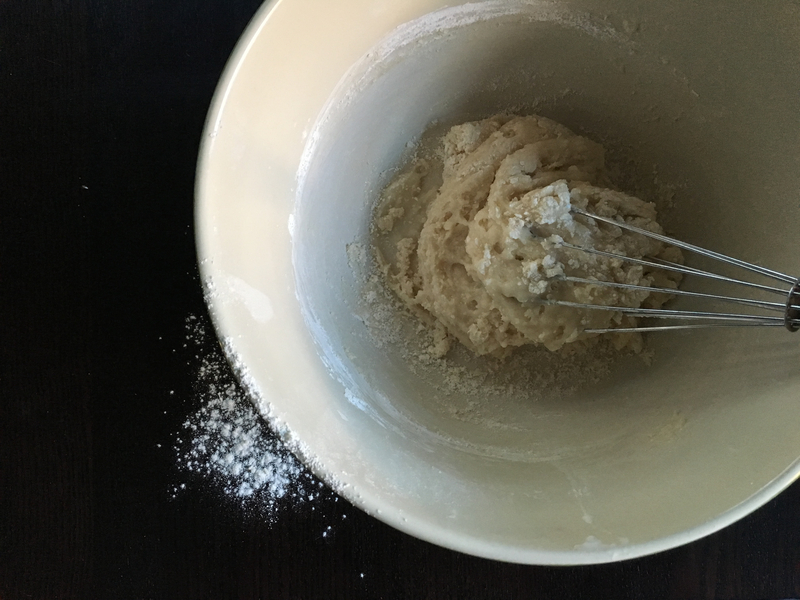 I enjoy trying new recipes to a fault—I’ll frequently be tempted to make something new just to see what it’s like instead of repeating a dish that I’ve cooked before and know is good. This cake, though, is so easy and crowd-pleasing, I’ve made it four times in the last month: for a bake sale fundraiser, for students who earned best student or most improved during first quarter, for my aunt who let us crash at her place instead of having to stay at a hotel for a wedding, and once just for me. It is super simple and comes together in no time, plus—bonus!—it involves minimal dishwashing. You only use one bowl to mix it in, which is pretty great, but the real fun part is that you use the empty yogurt container to measure the other ingredients. Which also means that you have a cute little anecdote handy if you make it for someone else. This type of cake is extremely common in France (for cooking at home, not for buying in stores—sort of like banana bread in the States). If you go to google.fr and start typing in “gâteau,” the first suggestion that pops up is not chocolate cake or birthday cake, but yogurt cake. 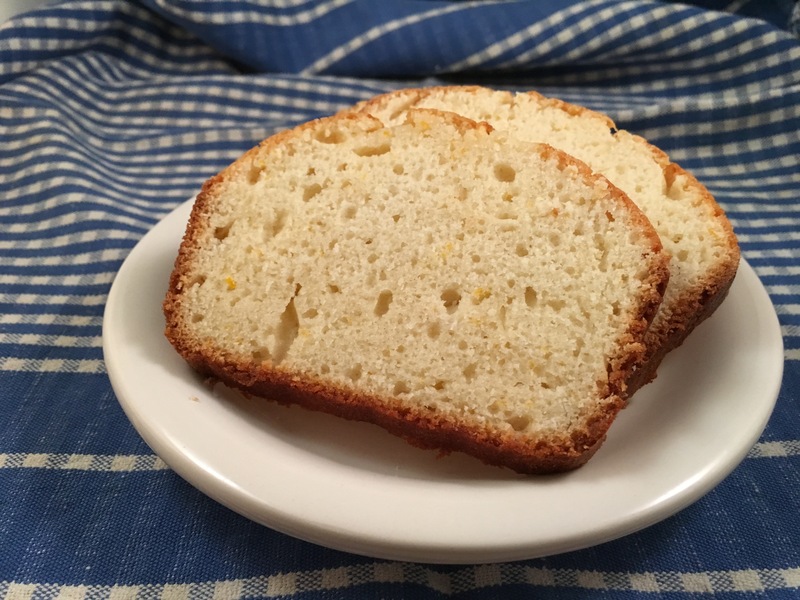 This one is similar to a pound cake but not quite as dense: it’s definitely cake, not bread, but it could be eaten for a snack or even breakfast (hey, it’s just a muffin in a loaf form (we all know that muffins are cake for breakfast, right?)) rather than dessert because it doesn’t taste too heavy or sugary. Add the flour, then the eggs. Looks wrong but works. The size is also pretty perfect for those of you who, like me, would like to make desserts more often but have to wait for whole-family get-togethers to roll around before you can try out that ginger-mascarpone icebox cake that you’ve been eyeing for over a year now because there’s no real reason for you to make a 12-serving cake for just you and your spouse. 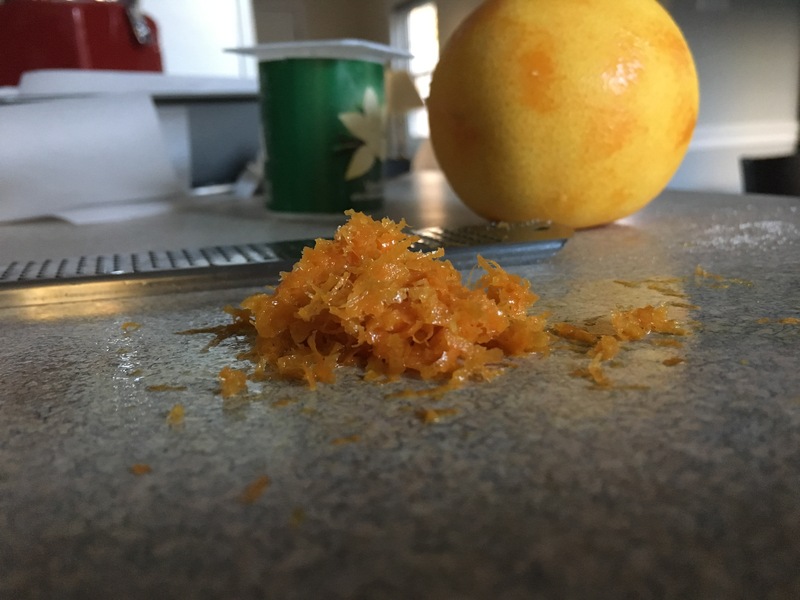 The only flavoring called for in the original recipe is lemon peel, but I have tried it with both lemon and orange, and I much prefer orange. It also calls for plain yogurt, which is impossible to find in a 4-ounce container, so I use vanilla instead. I have seen other versions that suggest adding a tablespoon or two of rum; I am sure you could adjust the flavoring with that or other types of spirits or extracts. The original recipe also did not specify what size pan to use, so I went for the smaller of my loaf pans: an 8.5 x 4.5″ one. 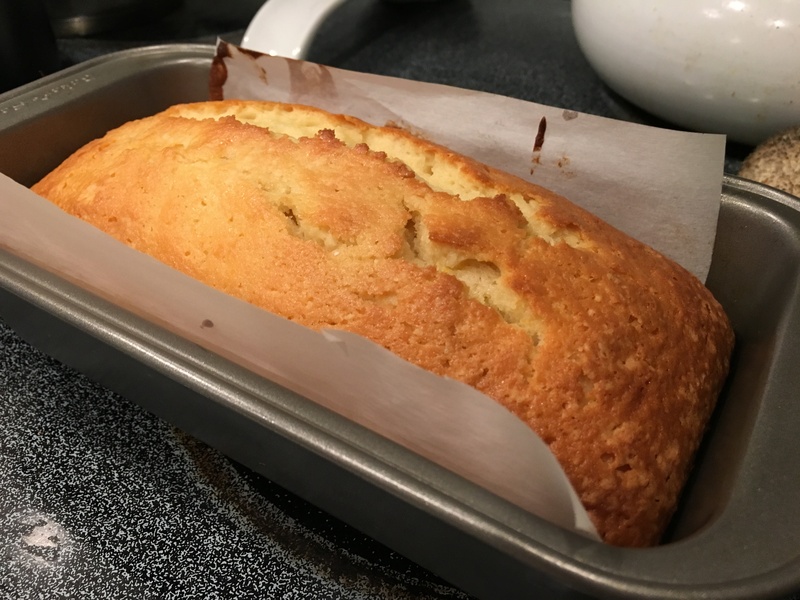 It was a good amount of batter for the pan, and the cake turned out nicely domed—when you cut it, the slice is more like a square than a flat, squat rectangle. Most American loaf-style recipes I have seen call for a 9 x 5″ pan, and although you could probably sub that size, I haven’t tried it. The cooking time would be shorter, and your cake would be wider and not as tall. Note: Adapted from this recipe for gâteau au yaourt from marmiton.org. For the yogurt, Dannon Activia and Stonyfield YoBaby both come in 4-ounce containers with a vanilla option. Preheat the oven to 350º. 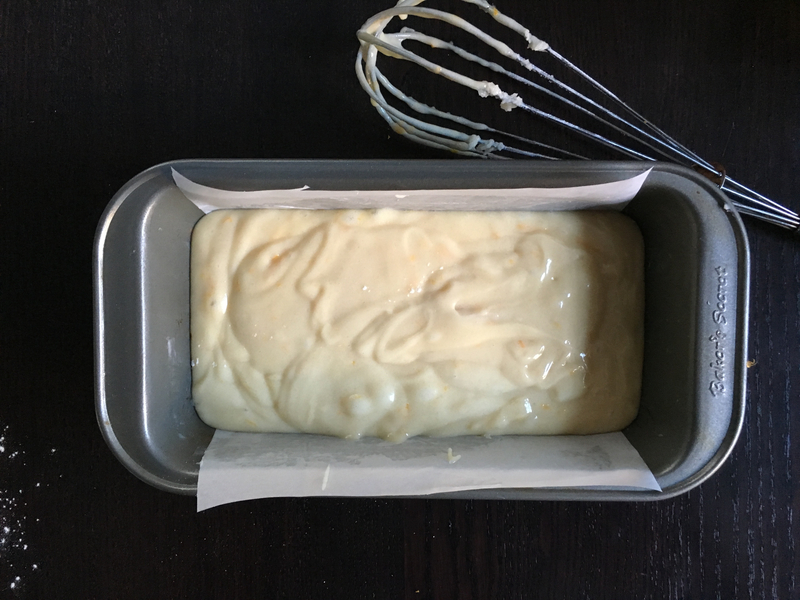 Lightly butter a 8.5 x 4.5″ loaf pan, line it with parchment paper so it overhangs the long sides by about 1/2″, and lightly butter the paper. Scrape the batter into your prepared pan and bake until done, about 50 minutes. 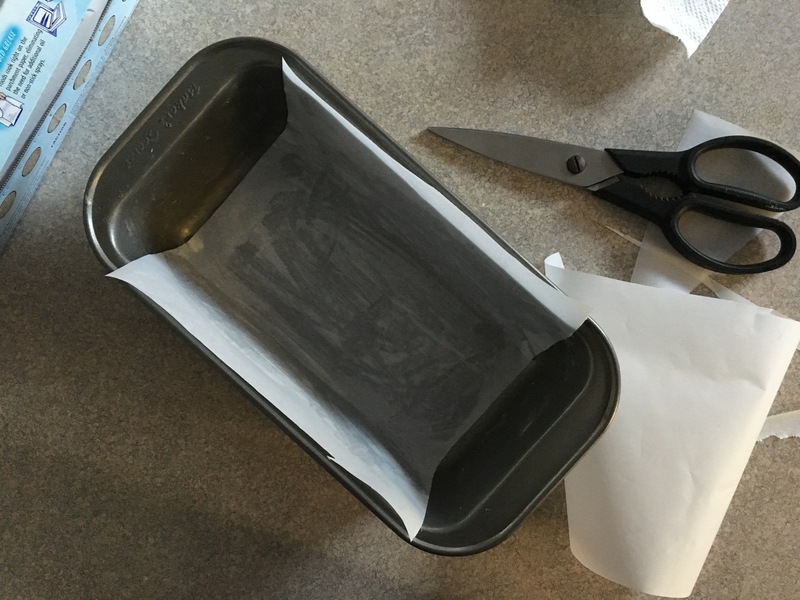 Cool for 5 minutes, then run a knife around the ends and remove the cake from the pan by grabbing and lifting the parchment paper. Let cool completely before slicing.